Seamus - guitar, vocals. His musical tastes are among the most eclectic known to man. When he is not singing in a high voice and/or playing guitar, Sean trains ants in the use of iron-age agricultural implements. He also discovered air quite by accident one day in his laboratory, and later the same year, Spain. 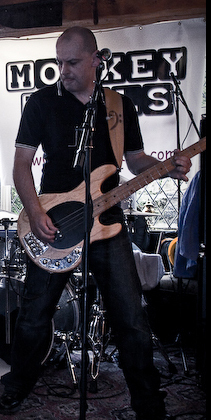 Frank - bass, vocals. Frank is renowned for his ability to forget to retune after downtuning for certain songs and has a vocal style that was born out of a diet of Jack Daniels and 20 Capstans a day. Played in various bands for a long while but found a true home in 2009 with Seamus and Pablo. They can't fire him and non one else will have him. Let the bass rumble.....! 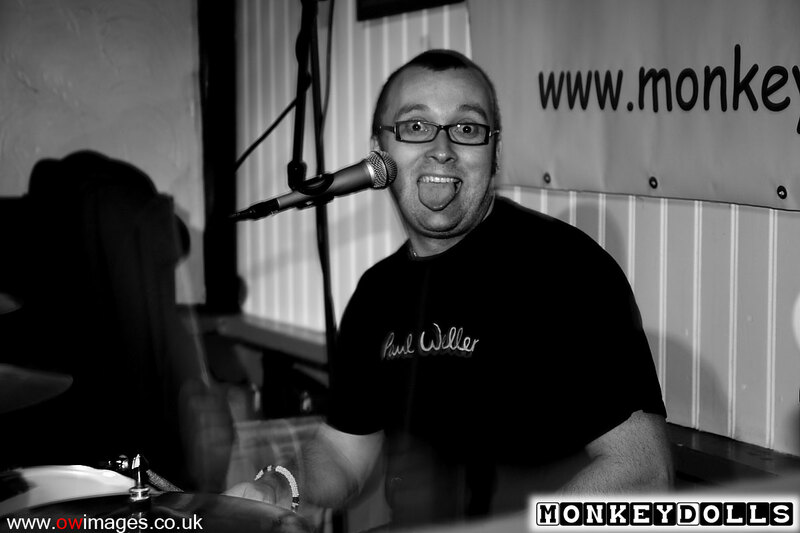 Paul - drums, vocals - a professional drummer, drum tutor and mad keen Paul Weller fan. Being a busy beaver, Paul runs the Swindon Rock School and helps to provide kids the sort of musical opportunities that none of us had when we were 'growing up'. Paul discovered the numbers 8, 11 and 15 through to 23 as well as inventing Middle English, work which was later completed by Julian.